In today's digital world, connecting with people and communities has never been easier. With a multitude of social media platforms available everywhere, each with something unique to offer, the opportunities are endless - but what about a social media platform, for pets? PetVibe is an app created by pet lovers, for pet lovers. It revolutionizes the pet owner experience, with awesome features including pet-friendly event postings, pet-related services (including grooming and vets), pictures and posts, and even a lost-and-found feature to alert local users and authorities of missing pets. PetVibe in essence is all about connecting the community - one pet at a time. After all, why should man's best friend be left out of the social equation? When FreshWorks was approached for the idea for PetVibe in early 2016, we were immediately intrigued, and started brainstorming ways to make the app as successful as possible. We thought an MVP (Minimum Viable Product) approach would best suit this project, and narrowed down the first released version of the app to have 4 distinct features: a pet newsfeed, messaging, a pet-related events database, and the "meet-ups" feature. Once the app was released to the public and we could examine how it was used, then we could release more features that would benefit the users of the PetVibe interface more accurately. Later that year the FreshWorks team joined the PetVibe team at the app launch at Pet-A-Palooza to stimulate interest in the project with potential users. Then called PetComm, the app sparked a lot of buzz at the event, and faced a large initial surge of mobile users. As the user-base grew, so did the need for more features, and FreshWorks continues to develop and release new versions of the app incrementally to accommodate users requests for new and exciting features, now including sponsored posts, a business directory, coupons, lost pet alerts, and more. Using the Meetup feature of PetVibe, users can create or attend fun pet gatherings in their area. You can view the animals (and owners) attending an event, the location, time, and event description, before indicating your attending status (Going, Maybe, or Not Going). Users also have access to a variety of other social media features including a newsfeed (pet-friendly), Pet Pals, and more. When creating your PetVibe account be sure to add a profile for your furry friend, then explore the other awesome features PetVibe has to offer. Meet fellow pet owners in your community, get your pet some socializing time, or attend fun pet-friendly events all in one centralized place. Pet owners can now access a multitude of pet-associated products and services from one place: the directory feature of PetVibe. With listings for grooming, boarding, veterinary services, training, and more just a touch away, it's never been easier to access pet-friendly goodies for your favourite furry friend. Businesses and pet owners alike can also take advantage of coupon feature. Pet owners can browse coupons for pet goods and services based on their location, while businesses can sponsor coupons and stir up interest in what their business has to offer to the local pet community. 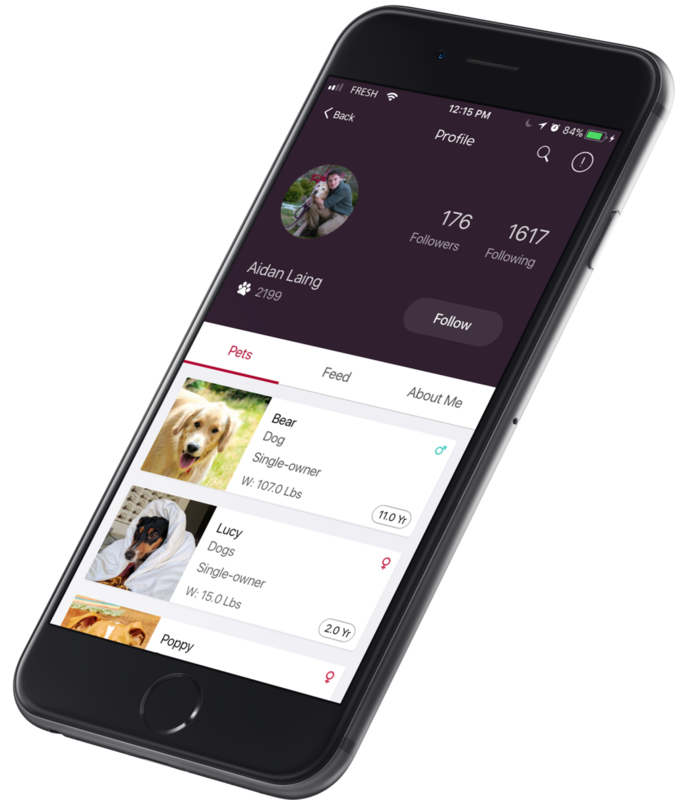 With this feature, users can report a lost or found pet and instantly reach a wealth of pet users and/or local shelters, by producing a lost "alert" which shows up as a red notification on PetVibe users and their accounts. Users can add things like a location (where the pet was last seen), the needs of a pet, and the phone number where the owner can be accessed to their lost pet alert. If a user finds a pet, they can also access the alert and report a pet as found using this feature, helping reunite furry friends with their worried family members.